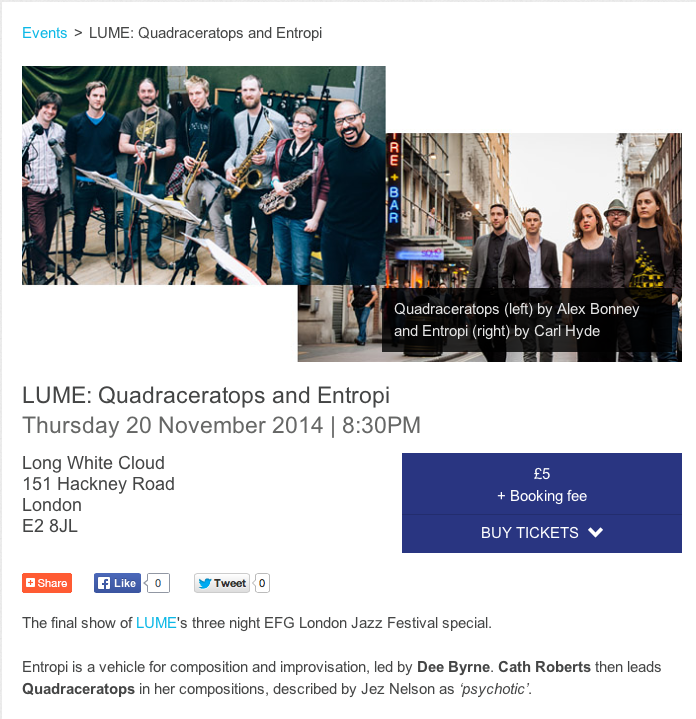 We are excited about our next gig for the EFG London Jazz Festival as part of a three night special at LUME (Long White Cloud, 151 Hackney Road, Hoxton) on Thursday 20th November! We’ll be playing alongside Cath Roberts’ fabulous band Quadraceratops. Fun times ahead!